‘If you can’t make the margin you need, then don’t do the event’. When you’re catering and selling an event, it’s essential that you pre-cost your menu accurately, and propose a selling price that MAKES MONEY FOR YOU. It sounds simple, but, as you know, it isn’t. 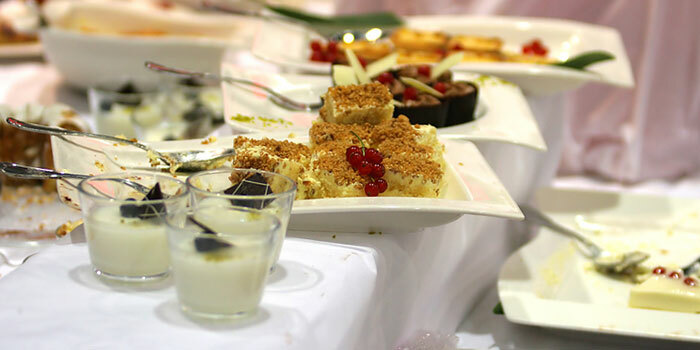 CostGuard catering and banquet software is the ideal tool for maximizing your profit potential. CostGuard has unlimited ‘nesting’ of recipes within recipes, so it’s very fast and easy to create and customize banquet and event menus. Menus can be converted (scaled) to the guest count with a single keystroke. You can print the menu for your clients without pricing. Scale your menu to your guest count. Create consolidated production sheets with a single keystroke. The same items and quantities can be added automatically to the Shopping Cart for instant replenishment.